London’s West End is famous around the world because it offers so much. Whether it’s theatres, attractions, restaurants or shopping, there is always something going on in the city’s cultural district. Encompassing Covent Garden, Leicester Square, Piccadilly Circus, Oxford Circus, Soho, Oxford Street, Regent Street, and Bond Street, no trip to London would be complete without soaking up the unique atmosphere found in this part of town. This area is surprisingly large, but, fortunately, London has some of the best public transport links anywhere on earth. Buses are all over the place, but most people opt for the tube. In this part of town, the tube stations you are looking for include Oxford Circus, Covent Garden, Piccadilly Circus and Leicester Square. Shopping is best done along Regents Street, which leads directly into Oxford Street (another haven for shoppers) to its north and runs into Piccadilly Circus at its south. Regent Street is home to the world-famous toyshop Hamleys and the iconic Liberty department store. Those who travel south will find Piccadilly, which is good news for anyone wanting to visit the M&M Store that is based here. 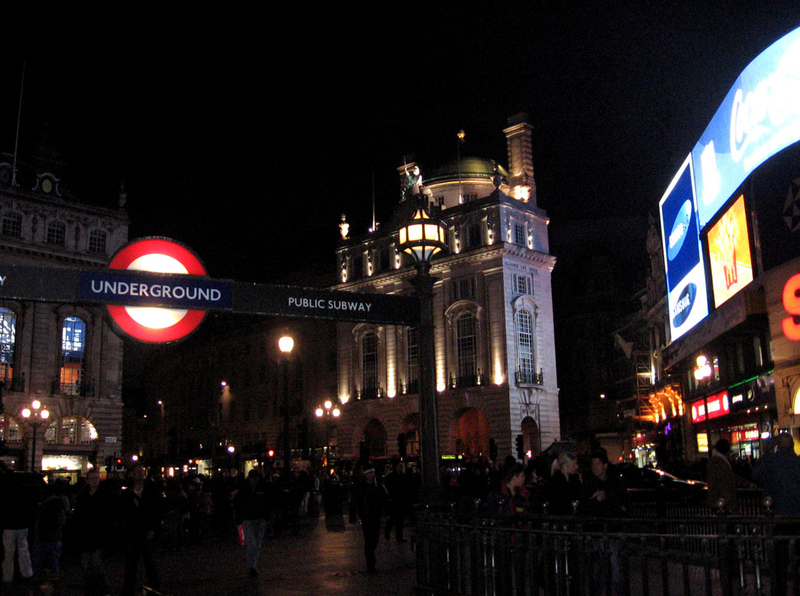 Piccadilly Circus leads directly into Leicester Square, behind which is London’s theatre scene. Referred to as Theatreland, together with New York’s Broadway, West End theatre represents the highest-quality theatre on earth. Standing in Leicester Square, in one direction you will see the cinemas where Hollywood’s finest premier their latest blockbusters, while in the other direction you will notice the famous Hippodrome, which houses a casino, together with bars and restaurants. Before the casino opened for business in 2009, this historic, iconic venue had been a theatre until 1951 and a nightclub until the early 1980s, hosting Frank Sinatra and Stevie Wonder performances during its heyday. Since the casino opened, it has occupied four floors of gaming space, so if you fancy a game of roulette while you’re in town, you’re in the right place. Roulette, named after the French word for ‘little wheel’, can be enjoyed here at the Hippodrome. To the north of Leicester Square, you will find Soho—home to London’s Chinatown. Here, you can eat for as cheaply as you are likely to find in the West End. If you don’t like Chinese food, you will most certainly find all other options throughout the immediate area, but be warned—London is not a cheap place to eat, and many restaurants are branded chains. Heading south, you will hit Covent Garden and its street performers, museums and galleries. These include The National Gallery, The National Portrait Gallery, The Royal Academy of Arts, The London Transport Museum and The National Opera House. Just a short stroll westward down The Strand from here, you will find Charing Cross, which is home to Trafalgar Square where The Mall starts. The Mall, for those who don’t know, is the road upon which Buckingham Palace is located. London has many districts—historical, urban, modern, classic, and financial—but for the tourists, it’s all about the West End and the nearby Houses of Parliament (‘Big Ben’ to you and me). This is simply one of the postcard cities where almost every corner is home to a world-famous landmark or historical hotspot. You could spend a lifetime in London and still not be finished with its charms. As the dictionary author Samuel Johnson once remarked, “when a man is tired of London, he is tired of life; for there is in London all that life can afford”. What we have laid out above is merely a roadmap that you can use to navigate—in one afternoon— the sites and locations that London’s billions of annual visitors come to see in the West End. We hope you enjoy our city as much as we do.